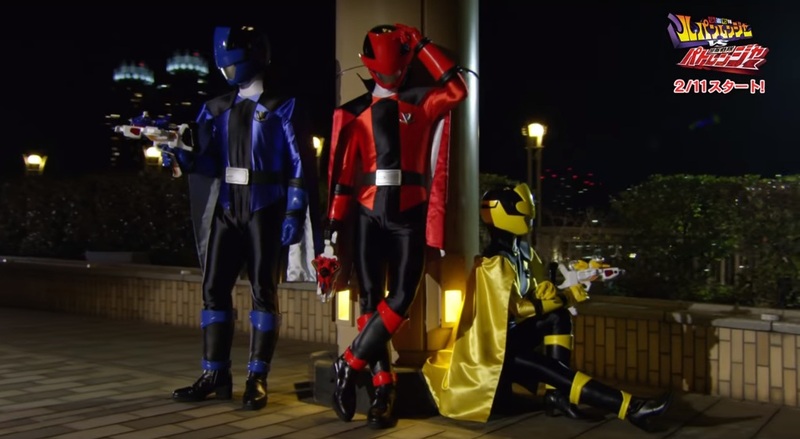 Check-out the announcement video for Kaito Sentai Lupinranger VS Keisatsu Sentai Patranger which introduces the Phantom Thieves, the Lupin Collection, the Ganglers, Dial Fighters and Lupin Kaizer! Kaito Sentai Lupinranger VS Keisatsu Sentai Patranger will premiere on February 11, 2018 replacing Uchuu Sentai Kyuranger on the Super Hero Time block. And if you can notice it, they have used the laser blade theme from the Gavan movie promo video after the Lupinrangers transformed.